I hope you had a wonderful Christmas with your loved ones! 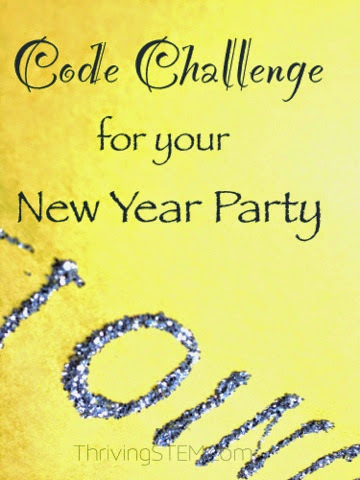 Here is a New Year's coding challenge in case you would like to use it for your New Year's Eve Party. You may want to put together an easy binary abacus to have on hand to help your guests solve the riddle. The challenge is simple: Write out the new year in Binary. Computers are going to be processing the new year in a number composed of just one's and zero's. Computers are composed of tiny circuits which are either on or off. On circuits equal a "1." Off circuits equal a "0". Those two digits compose the most basic computer language called "Binary". Just like our normal ten digit system, the first number in binary is 1. However, since binary only uses the digits "1" and "0", the second number is "10" with one in the second place, instead of "2". Sound confusing? Don't worry. 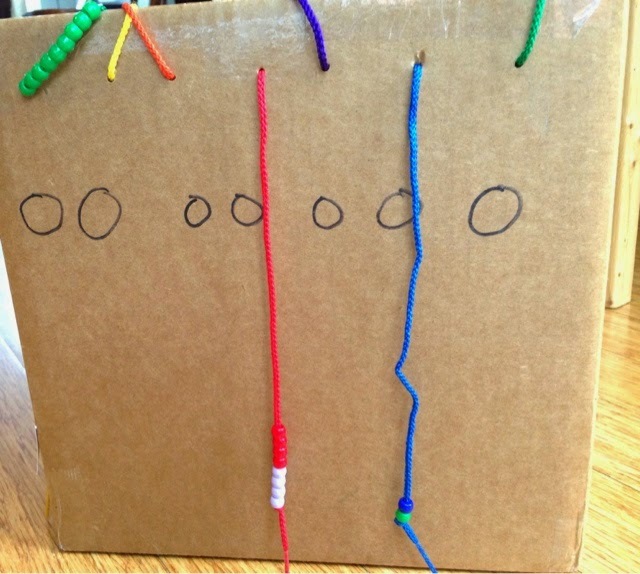 Just put together this easy binary abacus and you will be able to explain how binary works so well that even your elementary student will understand. 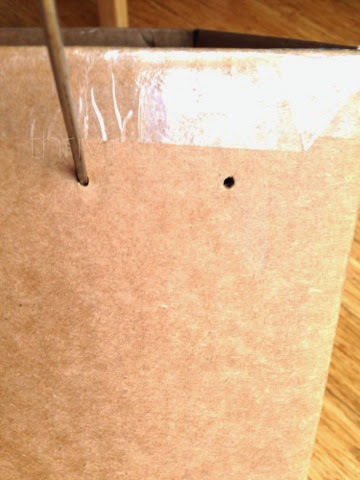 Sharp object to poke a hole. I used a skewer. Marker to write on the box. 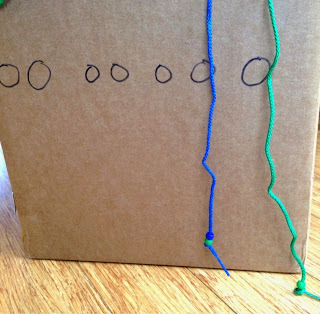 To get started, poke holes to thread the string about an inch apart, along the top of the box. 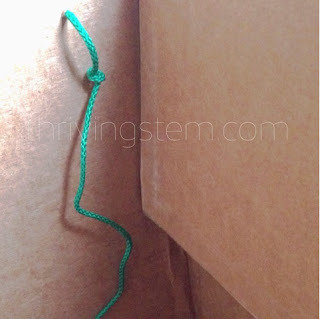 Knot the string on the inside of the box so that it does not pull through to the front of the box. Place one bead on the first string on the right, and knot the string so that it stays put. (I used green.) 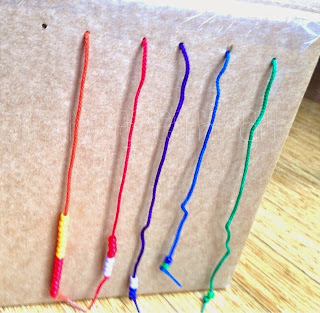 On the second string from the right, place two beads. 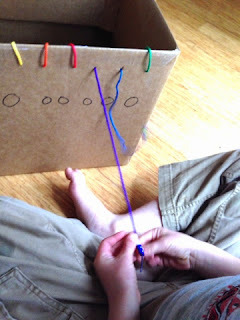 Move to the left, placing twice as many beads on each successive string. 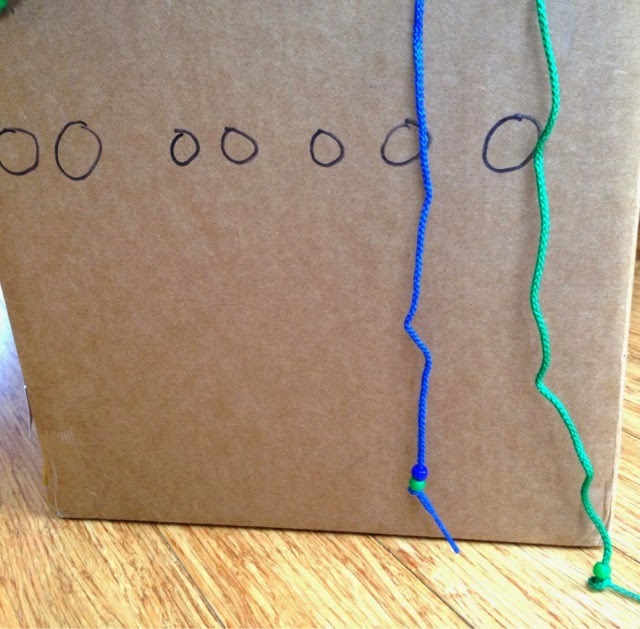 Once you have the strings attached with the beads threaded, use your marker to add zeroes under each string. At this point you have a binary abacus that would work well for explaining how the binary works. Unless you string more beads than I did, it will not quite calculate the new year, however. My last string had sixty-four beads. That is about as many as most of us will be able to remember and count. 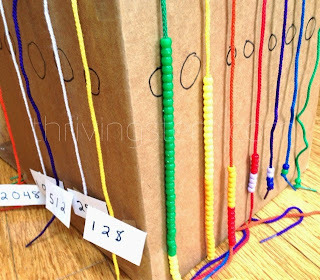 When I moved around the corner, I took a short cut, and wrote the number of beads the string should have on an index card and taped it to the string. Now we are ready to calculate the New Year in Binary! 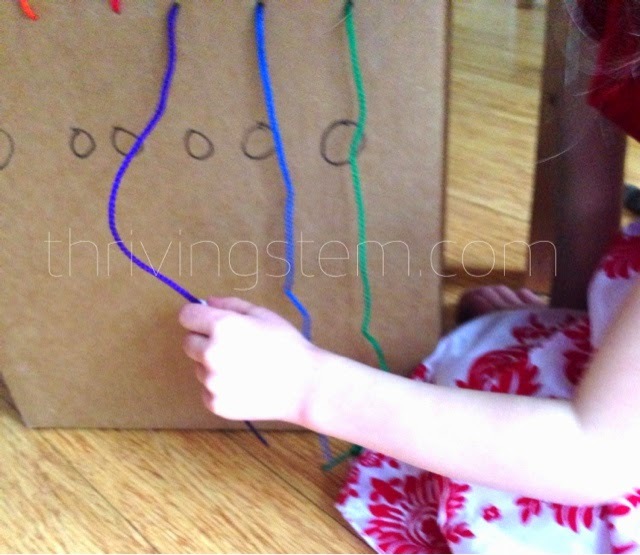 To figure out what "normal" number is represented by the abacus, count the number of beads showing. In the picture below, there are three total beads showing, so this is the number "3". The binary number is represented by ones in each place where a string is hanging down. So, the binary number in the picture below is "11". Unused strings should be placed inside the box. Those place values are represented by "0". My son was pretty interested in learning how to do a computer language. It dawned on him that this was also a math exercise though too. Adding up the number of beads was a good review for him, and the place value practice was a great warm up for math he will cover soon. Can you figure out what number is represented in this picture? How would you write it in binary? That's right! There are ten beads, so the "normal" number is 10. 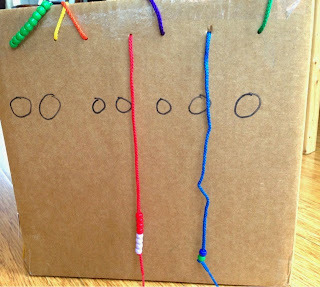 By looking at which positions have strings hanging down, we can see that the binary number is 1010. 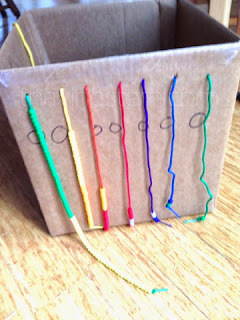 Wherever a string is hanging down, we put a "1". In the empty places we put a "0". Just like normal math, you can ignore all the extra zeros on the left. You can see that my daughter was busy figuring out her age in binary. The number showing in the picture is seven, written as 111 in binary. Another fun challenge would be counting to twenty. Which brings us back to our original challenge: write the new year in binary! 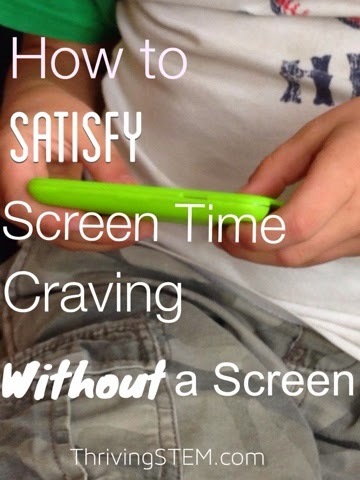 There are several ways you can attack this problem. I recommend starting with the number 1024, and figuring out what combination of other numbers you need to add to it to come out with 2015. Add 512, then 251. Keep going until you know which strings are needed. 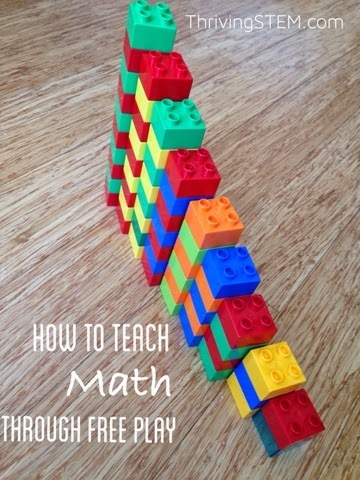 Nothing but simple addition and trial and error. You may want to check out this interesting page about math to learn more about binary. I really like this activity. 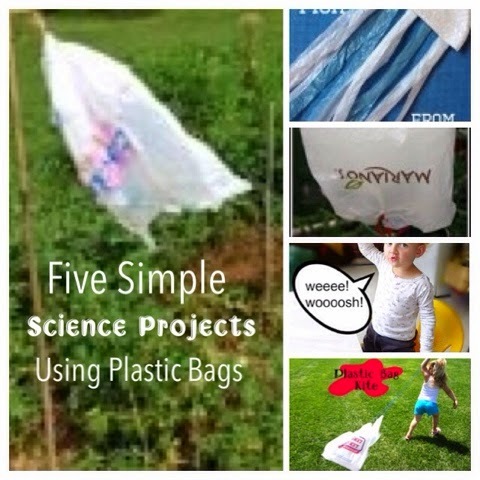 What a great way for kids to learn! the challenges. It was truly informative. Hello and thank you for your comment! I am so glad you find my site useful! 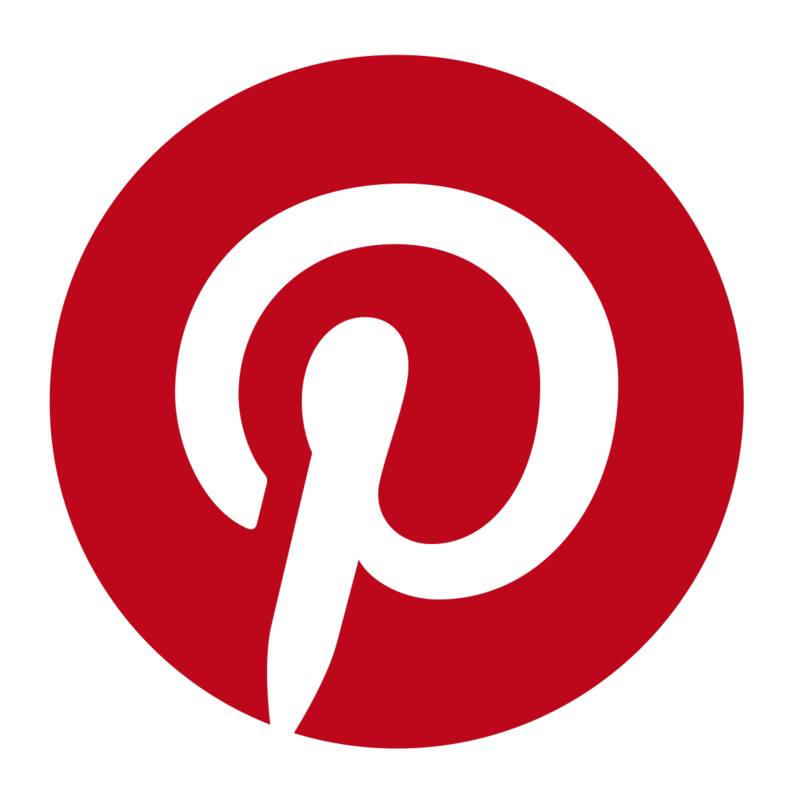 I am trying to provide good resources for others and would love any help in spreading the word.